In general, Japan has a mild climate, though it’s difficult to talk at all generally about a country which stretches for some 3000km north to south. It can be below freezing and snowing in Hokkaido while southern Kyushu is enjoying sunshine and mild temperatures. April and May are often considered the best months to visit, when the worst of the Hokkaido winter is over and the rest of Japan is not yet sweltering in humidity. 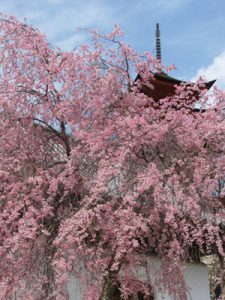 Cherry-blossom viewing takes place March to May. However, try to avoid the school/university holidays at the end of March/early April and so-called Golden Week (29th April to 5th May), which includes four national holidays and can feel as if the entire country is on the move; hotels and trains are booked out and prices rise to meet demand. . 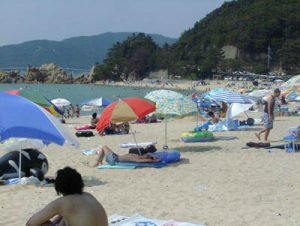 The rainy season in June/July (with occasional typhoons) marks the change from spring to summer but the showers are soon replaced by heat and humidity. Humidity is high throughout the summer months so carry bottled water if you are planning long days of sightseeing at this, the hottest, time of the year. Hokkaido is by far the coolest and least humid place in summer, which also makes it one of the busiest. The school holiday season in August is another busy time, particularly around mid August during the Obon festival, when people head back to their home towns. The high temperatures and – particularly in the south – blistering heat can last well into September and often there is a lot of rain then. Typhoons strike coastal regions, particularly in Shikoku and Kyushu, in late summer. Fortunately these are usually predicted a day or two before they hit so it’s unlikely you will be taken unawares. Things usually cool down and dry up by the beginning of October. 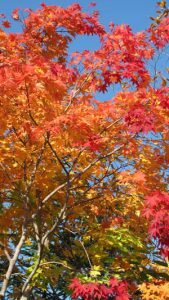 Late October and November are the ‘autumn-leaves-viewing’ months. If you don’t mind the cold, this can be a wonderful time to visit. The sky is often clear so views are better and you have more chance of seeing Mt Fuji. New Year is another major holiday period so even though the weather may be fine many places get crowded. 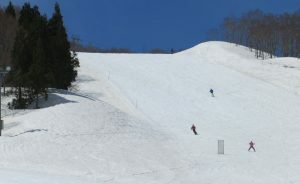 The main areas for skiing (November/December to April/May) are north-eastern Honshu and Hokkaido. For further information visit the Japan Meteorological Agency’s website.